New book, 64 pages, FOR105. With the violent separation between the United States and Britain which began in 1776, the new 'Americans' set off to fulfill their manifest destiny and rule their new land from coast to coast. As they pushed westward, they came into conflict with both natives and other European settlers, and began to build fortresses to defend their newly claimed land. This book charts the development and variation of the fortresses of the American Frontier, covering both American defenses and those of the Spanish in the west. 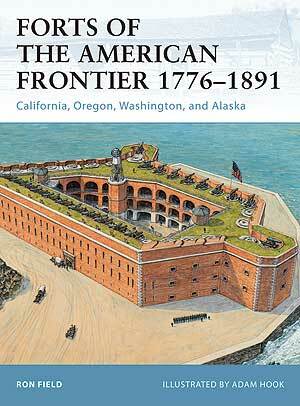 It also examines the little-known forts of early Russian settlers on the Pacific coast.